games in a row for Roberts Wesleyan. WAYNE COUNTY (Feb 16 11) – The Roberts Wesleyan women got a big win last night but needed two overtimes to do it, knocking off NAIA Division II 10th-ranked Daemen College, 83-80. The Wildcats are the second-place team in the American Mideast Conference with a 12-3 record, behind Walsh College, and three places ahead of the Raiders from Roberts Wesleyan. Walsh College blasted Wesleyan on Saturday, 64-49. Senior forward Brittany McMillon (Lyons) led the Raiders with a double-double: 12 points and 10 rebounds, plus three blocked shots. Sophomore guard Marissa Bunce (Newark) had an off night with three points and a rebound. Brittany had a huge night Tuesday against Daemen with a game-high 27 points and 14 rebounds. She also had three assists and two steals – whew! Marissa chipped in four points and two rebounds to the win for the Raiders, who are 16-10 (9-5 AMC). Virginia Tech women’s basketball is suddenly on a bit of a roll. The Hokies squashed Clemson Monday night, 68-56, for their first Atlantic Coast Conference win this season after nine straight conference losses. Coupled with the 62-54 win over Longwood College on Thursday, that gives the Hokies a two-game winning streak. Sophomore guard Alyssa Fenyn (Newark) scored 11 points against Longwood, and that was her sixth straight game in double figures. 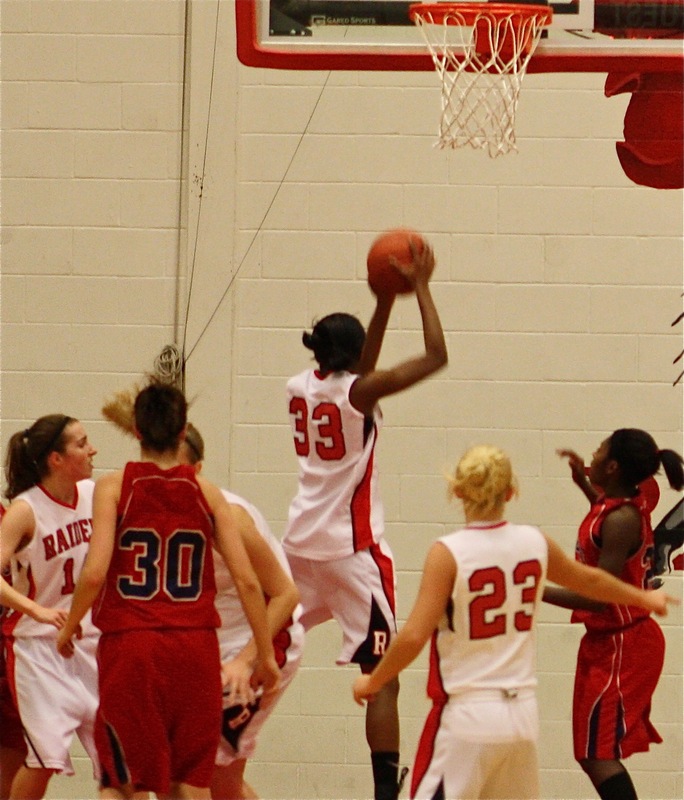 She also had eight rebounds, three assists, two steals and a blocked shot. Against Clemson, Alyssa had another nice all-around game: eight points, five rebounds, four assists and two steals. Virginia Tech is now 11-14 (1-9 ACC). The University of Buffalo men’s basketball team has picked up two losses in four days, with a defeat last night against the University of Ohio, 76-69, and a Saturday loss at Eastern Michigan, 78-65. Those losses leave the Bulls’ Mid-American Conference record at 7-5, with just three games left on the schedule and the playoffs looming in three weeks. Buffalo had an eight-point halftime lead and carried that into the second period, when the wheels came off the wagon. Freshman forward Javon McCrea (Newark) led the scoring for the Bulls with 15 points, six rebounds, and three first-half blocked shots. Saturday night, Javon again led the team with 17 points and seven rebounds, but the Bulls could only push a couple of points past Eastern Michigan in the first and second halves, and then only briefly. The Monroe Community College women grabbed their eighth win in a row last night, pummeling Genesee Community College, 110-57. Sophomore guard Shakista Woolfolk (Newark) popped in 11 points and took down eight rebounds for the Tribunes, who are now 16-6. Penn State/Abington broke a two-game winning streak for Keuka College on Sunday, 73-66. The Storm had put that winning streak together by squeaking past Cazenovia and Penn State/Berks for their fourth and fifth wins of the season. Freshman guard Adam Stephens (Pal-Mac) contributed an assist and a rebound in the Abington loss; he had a rebound and blocked a shot against Berks. Keuka is 5-15 (4-11 NEAC). Canisius College men’s basketball had a 1-1 weekend, beating Rider in a Friday barnburner, 67-65, then losing to Loyola on Sunday, 72-57. The tradeoff leaves the Griffins at 13-12 (7-8 MAAC). Senior forward Greg Logins (Sodus/Kent) had eight points and four rebounds against Loyola in the loss, but had a better night versus Rider with 16 points, eight rebounds, an assist and a steal. Alfred University dropped its third game in row Saturday afternoon, Ithaca College coming to town and grabbing an 85-81 win. Saxon sophomore center Bryan Bobo (Wayne) put in nine points and collected six rebounds in the loss. 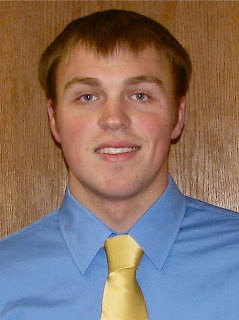 Junior forward Pat Hollenbeck (Wayne) had four points, a rebound and a blocked shot. Alfred is 8-15 (3-11 E-8). The season was on the line for the Albany College of Pharmacy on Sunday. If the Panther Pharmacists lost to the Culinary Institute of America, they were out of the Hudson Valley Men’s Athletic Conference tournament. Not to worry, Alchemy fans – the Pharmacists won big, 103-63, and will be in the playoffs this weekend. Freshman forward Joe Britt (Lyons) made three points, three rebounds and an assist in the win for Albany, which is 7-10. A lot was also on the line last night when Nazareth College and St. John Fisher met in a pivotal Empire-8 showdown. The Cardinals secured a spot in the Empire-8 conference playoffs with an 83-72 win, helped mightily by a second-half 50-36 scoring margin; the Golden Flyers are eliminated from any chance at the playoffs. Sophomore guard Tyshun Stephens (Newark) had 11 points, four rebounds and three assists in the loss for the 13-10 (6-8 E-8) Flyers. University of Buffalo redshirt freshman Sean Walton (Pal-Mac) engineered a reversal in the last 10 seconds of his match with Central Michigan’s Christian Cullinan on Sunday, knotting the score at 2-2. Cullinan had taken the lead just 10 seconds before that, also on a reverse. Sean’s reversal came so close to the end of the match that officials had to huddle to decide whether to award him the two points: they did. In the sudden-victory overtime period, Cullinan got a takedown with just three seconds left to get the 4-2 win. Buffalo lost the match to the 17th-ranked Chippewas, 19-14. University of Buffalo junior Ellen Muster (Marion) zipped to a third-place finish in the mile run (5:07.13) at the University of Akron Invitational on Sunday. Roberts Wesleyan junior Matt Hussey (Marion) ran to a second-place finish in the 3000 meters with a personal-best time of 8:58.07 at the Jim Wuske Invitational Track and Field meet at Mount Union College. Teammate Aaron Steensma (Marion) took 11th in the pole vault (13-5.75) and ended up 14th in the high jump (5-7). Nazareth College junior Tim Rutan (Wayne) was 49th in the 800 meters (2:13.12) and ran the first leg of the 24th-place, 4-by-400 relay (3:57.40) at the Robert Kane Invitational at Cornell University last weekend. St. Lawrence University women’s squash team finished its dual-meet season on Saturday with the Saints getting waxed by 11th-ranked Williams College, 9-0. Sophomore Corey McHugh (Lyons/Brighton) lost to Williams’ Mia Fry at six (11-0, 11-7 and 11-5) and finishes this part of the season with a 3-10 record. Next stop for the Saints is the Howe Cup National Championship competition at Princeton this weekend. The 26th-ranked Saints are the second seed in the Epps Cup (D Division) and will take on 31st-ranked Georgetown on Friday morning. Methodist University sophomore Stacey Brooks (Newark) and her Monarch teammates lost their season opener to nationally ranked University of Mary Washington, 8-1 on Saturday. Stacey and her partner Laura Baker lost in third doubles, 8-5, to Lindsay Raulston and Casey Malcolm. Ithaca College recorded its second-highest score (184.100) in a gymnastics meet this year in a tri-meet at Cornell on Saturday. The Bombers finished third behind Division I Towson and Cornell. Ithaca junior Kailee Spusta (Pal-Mac) finished sixth in the beam. The Rochester Institute of Technology completed its dual-meet season on Feb. 5, losing to Nazareth College, 187-85. Freshman Jocelyn Bade (Gananda) was definitely a high sport for RIT – she won the 800 free (10:20.56), took fourth place in the 400 free (5:00.44) and swam the second leg of the third-place 200 free relay (2:06.11). Jocelyn and the Tigers will compete at the Empire-8 Championships starting Feb. 24 at the Webster Aquatic Center. The University of Pittsburgh at Bradford finished its regular season on Feb. 5 with a close loss to Notre Dame College men’s team, 136-118. Senior Jacob DeVolder (Newark) anchored the third-place 200 free relay (1:43.61) and 200 medley relay (1:55.04), swam to a fourth place in the 500 free (5:39.02) and took sixth in the 100 breaststroke (1:16.34). Monroe Community College won the Region III/Northeast District swimming and diving championship meet over the weekend – the men for the 12th-straight time, and the women for the seventh straight. The Tribs now advance to the NJCAA National Championship that will be held in Buffalo March 2 through 5. 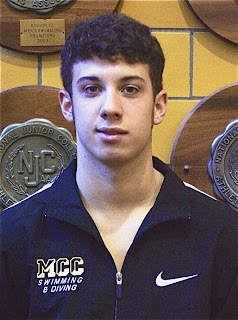 Sophomore Kyle Bree (Newark) had a great meet for MCC. He won the 1650 free (17:53.32), swam the second leg of the winning 800 free relay (7:44.32) and 400 free relay (3:25.59), claimed a second place in the 400 individual medley (4:47.53), and was third in the 500 free (5:09.41). Freshman Zach Orbaker (Clyde-Savannah) swam to a second place in the 100 backstroke (1:01.62), a third in the 200 back (2:16.74), and took a fourth place in the 200 individual medley (2:16.16). Sophomore Leslie Flannery (Newark) anchored the winning 200 medley relay (2:04.27) and swam the third leg of the winning 800 free relay (8:22.94 – a meet record). She also grabbed second places in the 500 free (5:38.49) and the1650 free (19:21.85), and took third in the 400 individual medley (5:24.68). Anderson Miller (Newark), another freshman, was third in the 1650 free (19:21.03), sixth in the 500 free (5:28.87), and seventh in the 100 butterfly (1:04.49). The Alfred State men’s team finished in fifth place behind MCC. Pioneer sophomore Ethan Wright (Clyde-Savannah) was third in the 100 butterfly (58.55) and the 200 fly (2:16.71), took a sixth place in the 200 individual medley (2:20.35), swam the third leg of the fourth-place 400 medley relay (4:13.35) and the fifth-place 200 medley relay (1:55.19), handled the first leg of the fourth-place 400 free relay (3:40.83), and anchored the fourth-place 800 free relay (8:30.20). Have news about a Wayne County athlete who is competing in a college sport now or will do so in the spring? Drop me a note at john.addyman@yahoo.com so we can follow that athlete through the season. 0 Comments to "COLLEGE SPORTS WRAP - Week ending Feb 15 11"